For years, Houston has been listed as the top city for traffic fatalities in the country. An average of 640 people die each year on Houston-area roads, and 2,850 more are severely injured. Safety officials in Texas are alarmed by the statistics, but the impact of the daily crashes and deaths still escapes the concern of drivers and lawmakers. If you are a Houston native and daily commuter, you should understand the significance of these statistics and the factors that have led to them. What Factors Have Led to Houston Roads Becoming So Dangerous? Long commutes. In Houston, four out of five people drive alone for about 30 minutes each way on average. Since 2013, drives are getting longer and are increasing by a minute every year. Speedy roads. Roads in Houston are designed to maximize speed in order to move as many drivers as possible in the fastest manner. Parts of the Grand Parkway, for example, have posted speed limits of 75 mph. Poor traffic law enforcement. Speeding tickets have actually decreased across the Houston region in the last three years. The city’s population and miles driven have been rising while the number of law enforcement officers patrolling for speeding drivers has stayed the same. Texas has a texting ban, but according to state officials it has been barely enforced in the Houston area. Opposition to automated enforcement. State and local politicians have opposed any automated enforcement in the city, such as traffic cameras to catch red light violators and speed cameras. Sobriety checkpoints are also prohibited because Texas courts found them unconstitutional. Dangerous road conditions for pedestrians and cyclists. A city law that was meant to provide room for pedestrians and bicyclists to travel only resulted in a few dozen tickets since 2013. Houston has more than 6,200 miles of roads of different widths and sizes, but less than half of these miles of road have sidewalks, and there are less than 300 miles of street bike lanes in the whole city. The first step in making Houston a safer city again is to provide awareness to drivers of the hazards they could face during their commute. 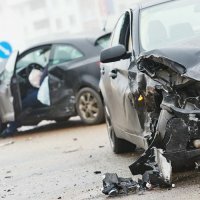 Our Houston car accident attorneys at Stevenson & Murray can offer you a free consultation if you have been injured in an accident. Contact us today or visit our website for more information.